Warming up takes one hour, and then distillation takes 2 hours. This gives 1.4 liters of spirits of approximately 46% alcohol by volume (92 proof). Activeted carbon purification takes place during distillation through a 40mm X 500mm purifying tube with pre wetted food grade activated granulated carbon (we recommend 0.4-0.85 mm activated stone carbon from partymanshop.com). You can, if you wish, distill the same spirits again, and the strength will be 88% ABV (176 proof) and even more pure. 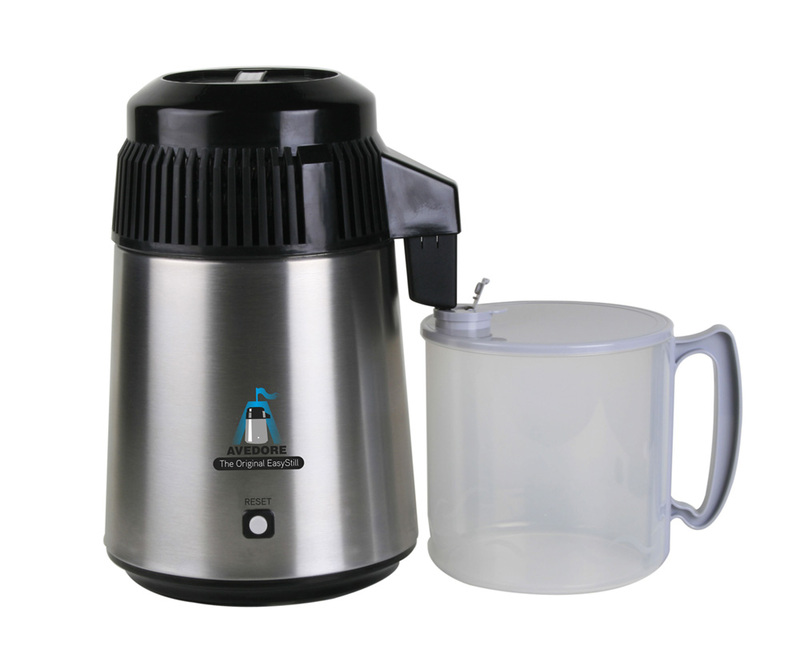 The EasyStill is finished in stainless steel externally and internally. The unit is a so-called Pot Still, a simple unit. Despite this it produces a spirit just as pure as that produced by many column stills. Simplicity of use beats everything. No cooling tubes or noisy running water in the plumbing. 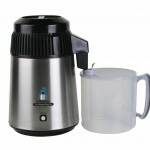 Thermometers and thermostats are not needed; the unit is designed for the production of alcohol. No 25-liter apparatus with long columns needed. The unit is only 200 x 360 mm . Pour in the mash, start, switch off when finished 3 hours later. Double distill if you need stronger spirits. Always a good result, it can’t be easier. EasyStill can distill spirits, water, essential oils, Whisky, Rum, Grappa, Fruit snaps, most things. It is easy and fun to use and one can develop a hobby experimenting with most things. EasyStill is a Swedish invention, it is a factory re built water distiller as well as we do a final change here in Denmark. It can not be sold from Sweden because of Swedish laws so we have got the offer here in Denmark. Those immitations is made only for money by look like a real EasyStill and sell to a lower price. We sell The Original EasyStill to all companies that wants to re sell quality - all over the world. Mash is poured in the stainless boiling vessel (max up to the 4-litres mark) then one presses the start button.The mash heats up and begins to boil. The spirits drip slowly from the still. Here an activated carbon filter 40mm*500mm can be fitted do distill and purify in one go.